Measuring 2.25 in. 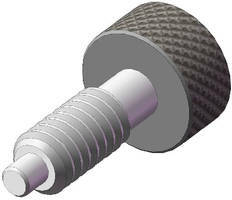 in diameter, Snap Lock Star Knobs let users assemble their own knobs with nut or bolt of choice. 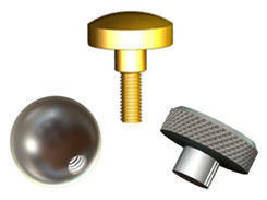 They are molded with hex hole of appropriate size to accept standard hex nuts, locknuts, hex bolts, and hex cap screws. For secure fit, fasteners can be pushed into position and snapped into hex hole. Products are available from stock in sizes matching Â¼, 5/16, and 3/8 in. imperial thread sizes as well as M6, M8, and M10 nut and bolt Metric sizes. 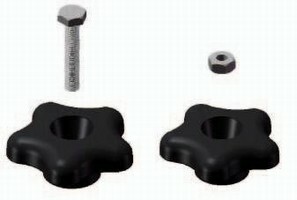 Snap Lock Star Knobs allow users to assemble their own knobs with the nut or bolt of their choice. Innovative Components, Inc. announces the introduction of a line of plastic clamping knobs that allow users to assemble their own knobs with the nut or bolt of their choice. The 2.25" diameter star shaped knobs are molded with a hex hole of the appropriate size to accept standard hex nuts, locknuts, hex bolts, and hex cap screws. Fasteners can be easily pushed into a position and snap into the hex hole for a secure fit. This unique design is perfect for MRO, prototypes, jigs and fixtures, and unusual lengths or materials of fasteners. Snap-In Star Knobs are available from stock in sizes matching ¼", 5/16", & 3/8" imperial thread sizes. Metric sizes accepting M6, M8, & M10 nuts and bolts are also stocked. Innovative Components, Inc. is a manufacturer of Quick Release Hardware including plastic knobs, quick release pins, swell latches, and wire lanyards. 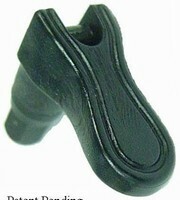 For more information, visit www.knobsource.com or contact Sales Manager Glen Brin at (800) 566-2774. Swell Latch facilitates opening/closing of access panels.